Affordable Fees and Payment Plans accepted. Call today for a free consultation. Our criminal and traffic defense attorneys are committed to providing the highest level of criminal and traffic defense at affordable prices. Attorney David L. Ruben, Esquire, has been battling prosecutors and winning cases in Maryland for more than 22 years. Being charged with a criminal offense is a frightening experience. Our Maryland criminal and traffic law firm is here to fight for you to get you the absolute best result possible. David Ruben has been highly successful defending drunk driving, assault cases, murder cases, traffic tickets as well as theft cases because he is well known and highly respected among the Judges and prosecutors all over the state of Maryland. 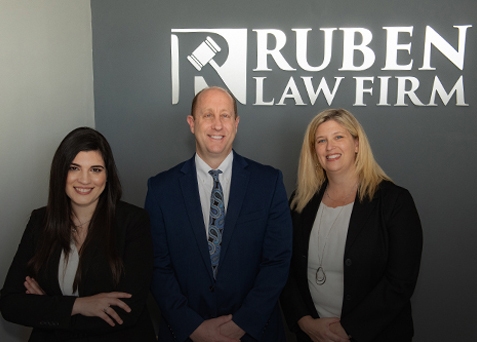 If you have been accused of a crime, from shoplifting to assault to DUI or drunk driving, you can depend on us for experienced legal representation and personal service at reasonable rates. If you need the help of a criminal or traffic defense attorney in Maryland, please call us today. We are always available. We are always prepared to fight for you. What we are not going to do is rob you of your life savings. Excellent representation is important but it must be affordable or there is no point, and we understand that. You may have made a bad decision when you got into trouble, but now it is time to make the right decision. Call us today. Click here to read more about Common Misdemeanor Crimes in Maryland. Click here to read more about Violent Crimes & Felonies in Maryland.